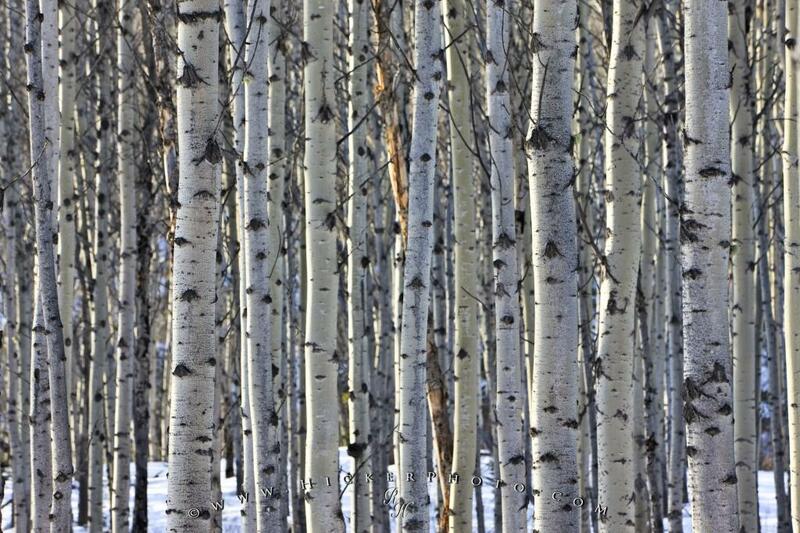 Closely spaced Aspen Trees form a small forest in Jasper National Park in Alberta, Canada. Standing tall and close together, a forest of Aspen Trees looks impressive against the landscape of Jasper National Park in Alberta, Canada. Photo of an aspen tree forest in Jasper National Park, Alberta, Canada.